IMPORTANT NOTE: EACH REGISTRATION IS SUBJECT TO APPROVAL BY OUR CHIEF INSTRUCTOR. Before each event, drivers will need to perform a Tech Inspection on their car. This is required before each and every event, even if you just looked at your car last week or last month. This is for the safety of our instructors, your fellow drivers, and most of all - for you. This inspection can be done by you, your friends, or any qualified mechanic. Note that in-car fire extinguisher is no longer required. BYOC (Bring Your Own Car) allows individuals to use their own cars for high performance driving school at the MotorSport Ranch. Our BYOC program caters to many drivers of varied skill levels. We provide separate levels grouped by experience, each with their own curriculum - Intermediate and Advanced. 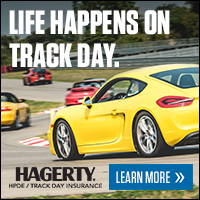 Our single day program provides classroom instruction sessions along with up to 2 hours of track time. Track sessions are spread throughout the day so you can learn in the classroom and then practice what you've learned on the track. The learning is progressive, so by the end of the track event you will have come a long way! The Intermediate program is for drivers who have mastered the basics. Note that we will have no in-car instruction for your track sessions. The Advanced group is for experienced drivers. In-car instruction will not be available. Track sessions will include up to 2 hours of track time. Please be prepared to attend when you sign up, as any change will require a cancellation fee, plus additional fees if you cancel within specified date range provided below. This includes ANY and ALL reasons for changes you may make, including problems with your car, last-minute conflicts, illness, and any other conceivable reason why you might feel the desire or need to not attend. 1) Cancellation/Date Change 28 or more days prior to an event – Min $25 cancellation fee, with up to 80% refund. 3) Cancellation/Date Change 13 - 0 days prior to an event - no credit will be issued. 4) We no longer will find someone to take your place, even if we have a wait list. Apex reserves the right but not the obligation to keep a wait list for its exclusive benefit and not to bail you out if you can't or don't want to attend an event. Apex Driving Academy events run in almost all weather conditions! Don't be put off by a forecast for rain - driving in the rain is an excellent learning experience, and will help improve your driving skills in all conditions.